This past weekend we celebrated the high school graduations of Rob and his cousin, Jessica (aka Smartie Pants) Patrone (featured below). Which one’s the real and which one’s the cake? 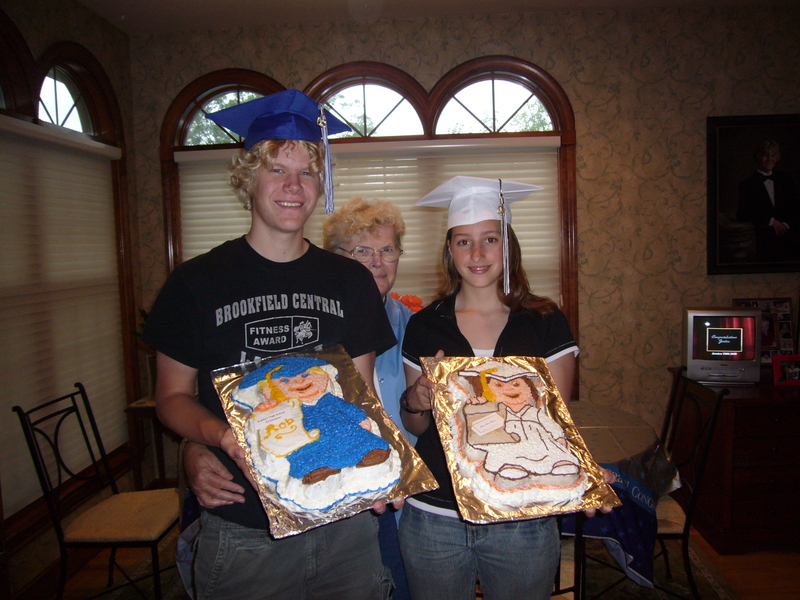 This entry was posted in Rob II and tagged Cake, graduation, Party, Robby. Bookmark the permalink.